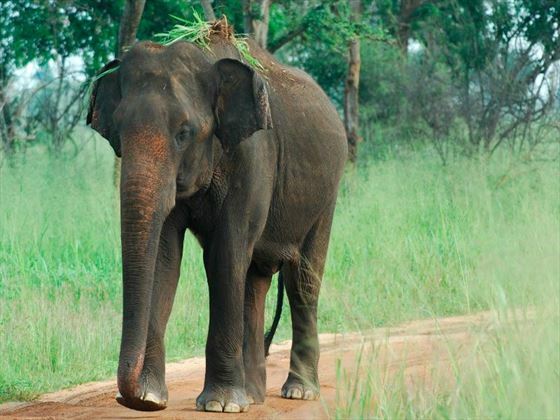 Take advantage of this half board 7 night private guided tour where you will go to 3 of Sri Lanka's incredible National Parks in search of herds of elephants, leopards, crocodiles, sloth bears & many more animals. 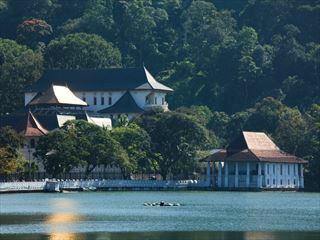 Along the way stop off at some of Sri Lanka's must see places, including Temple of the Sacred Tooth Relic & Sigiriya Rock Fortress. You will be met by representatives of Jetwing Travels and transferred to Dambulla for the remainder of the day at leisure. 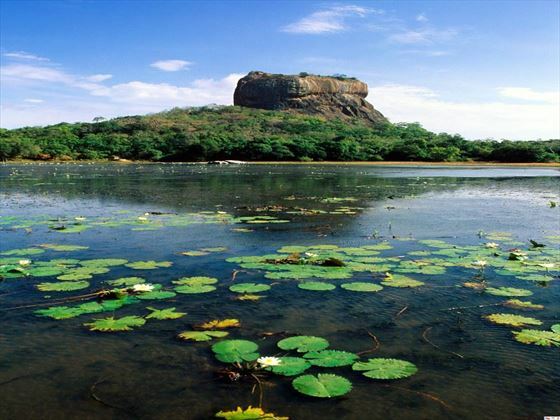 After breakfast at the hotel this morning, take a transfer to Sigiriya to climb the Rock Fortress. Sigiriya – is a World Heritage Site and the 5th Century Fortress in the Sky which is perhaps the most fantastic single wonder of the Island. 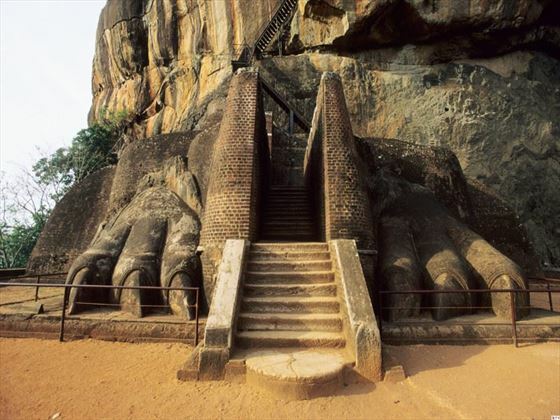 It is also known as Lion Rock because of the huge lion that used to stand at the entrance to the Palace on the summit of the 600-foot high rock. On its summit are the foundations of the Royal Palace, Water Tanks to supply water and all other buildings and at the edges the guardhouses. On one of the stairways the only known ancient work of Sinhala secular painting survived in the form of Frescoes of 21 life sized damsels in all the freshness and delicacy of their original colour. The Water Gardens, Fountain Garden, summerhouse, Boulder Gardens and the Caves with the enclosed area should not be missed. 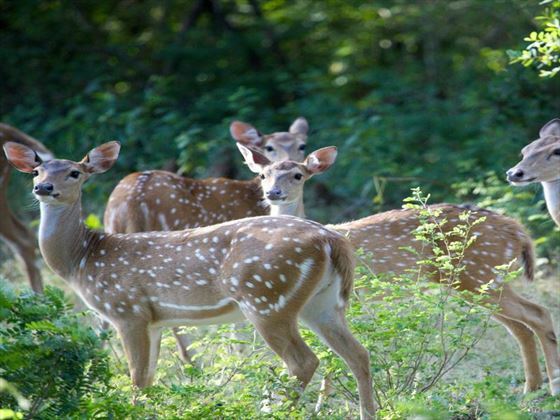 Minneriya National Park - This National Park with 8889 hectares in extent is famous for it large population of elephants in herds of 100 to 150 roaming in the jungle and seen in the catchment area of the lake. Entrance is at Ambagaswewa about 6 km from Habarana on the main Habarana Polonnaruwa road. Office is by the side of the main road. 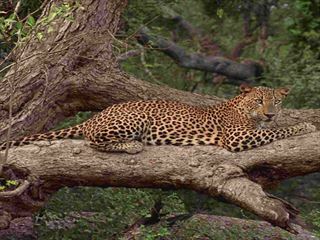 Elephants, about 300 wild elephants, wild buffaloes, wild boar, spotted deer, sloth bear, Sambhur, leopards, crocodiles, jackals, 9 kinds of amphibians, 25 kinds of reptiles, 160 species of birds, 26 varieties of fishes, 78 varieties of butterflies are recorded from the Minneriya National Park. After breakfast this morning, transfer to your hotel in Nuwara-eliya. 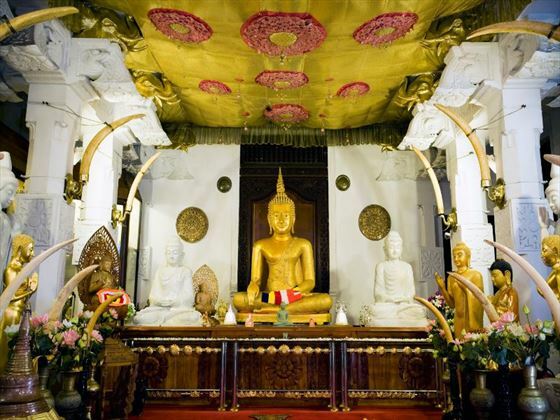 En route visit the Temple of the Tooth Relic in Kandy - ever since 4th Century A.D, when the Buddha’s Tooth was brought to Sri Lanka, hidden from sacrilegious hands in an Orissan princess’ hair, the Relic has grown in repute and holiness in Sri Lanka and throughout the Buddhist world. It is considered Sri Lanka’s most prized possession. Upon reaching Nuwara-Eliya, you can visit the misty hill country. After an early breakfast at the hotel, enjoy a Nature walk in Horton Plains Nature Reserve, which is approximately 10,000 Hectares in extent, is haunted by Elk, Deer, Giant Squirrel, Wild Boar, Wild Hare, Porcupine, and a variety of Migratory birds, unique to this region. According to a recent count there are 16 Leopards in Horton Plains. 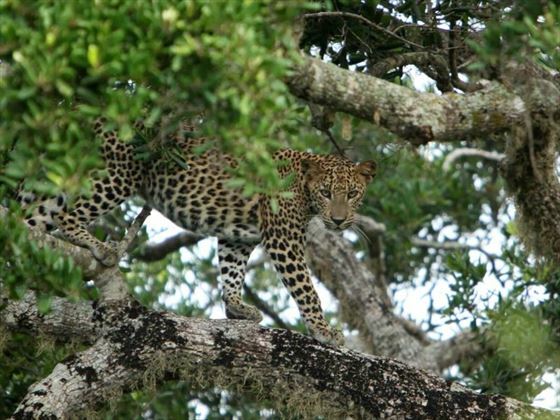 If you are very lucky you may get a glimpse of a Leopard during your sojourn in the Horton Plains. After an early breakfast at the hotel, transfer to Udawalawe. Afternoon enjoy lunch at a local restaurant. 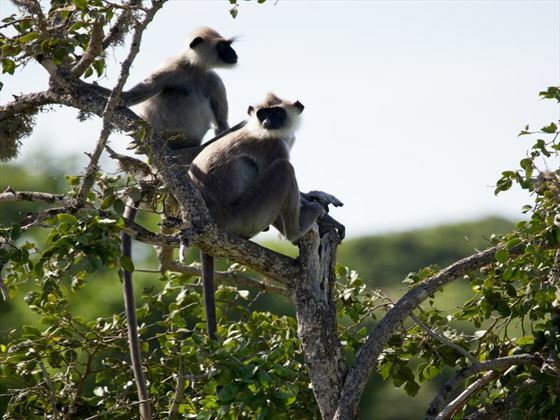 Udawalawe National Park - with an area of 30,821 hectares covers the catchment area of uda Walawe reservoir. With boundaries running into Ratnapura and Monaragala districts at the South Eastern Part of Sri Lanka. Haputale and Kaltota mountain ranges, seen from the park give a picturesque view. It provides a home for displaced animals from Walawe Development Project. Rich in elephant population the park is having an estimated 500 or more elephants. They roam about in herds of 50-100 at times. The park is known to be a good breeding ground, for Baby elephants, guarded by their elders is seen round the year. To see elephants in their natural habitat visitors are advised to travel in Jungle Green vehicles and similar coloured clothes. Later on, transfer to your hotel in Yala. Evening enjoy a 4 X 4 jeep safari at the Yala National park. 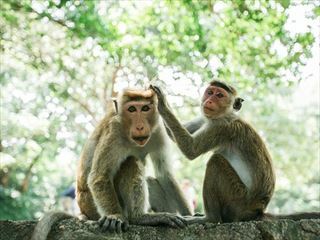 Yala National Park - is 378 sq. miles in extent. Yala was established in 1938 from what originally was Sportsman’s shooting reserve. This is most famous and well developed National Park where wild animal and birds could be observed. 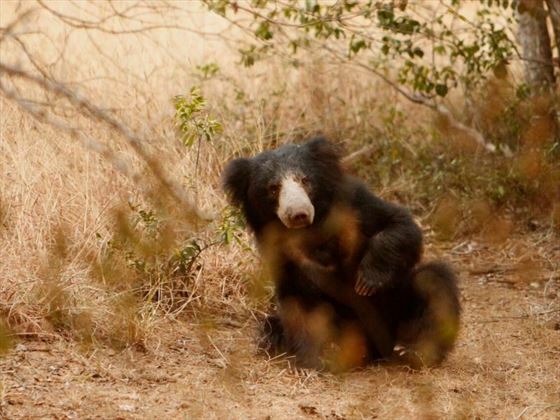 The wild animals include Elephants in herds of varying sizes, Leopards, Wild Boar, Wild Buffalo, Crocodile, Peacocks, Jackal, Sloth Bear and other animals. The bird-life comprises of about 130 species including the resident and migrants. Painted Strokes, Paradise Flycatcher, Grey Herons, Serpent Eagle, Sea Eagle, Black-Necked Stork, Spoonbills, Pelicans add colour to the bird life in the park. After breakfast at the hotel, drop off at Airport or your preferred beach resort.